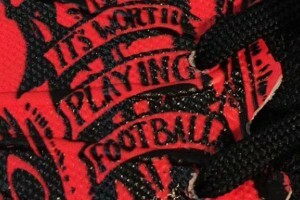 Warrior Football has introduced a fourth black/red colourway to its Superheat collection. 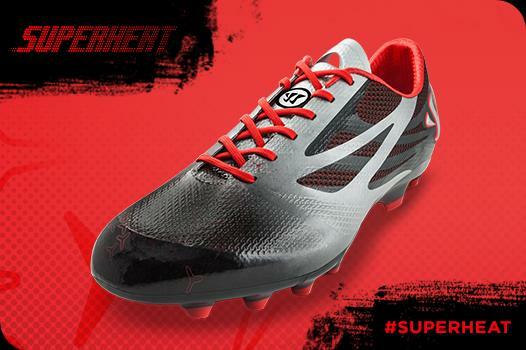 The Superheat upper uses revolutionary Tri-fusion bonded skin for limitless touch and speed. The extremely lightweight Neoweb, a bonded water resistant upper mesh construction, moulds to the contours of the foot, making the boot feel like a second skin and providing infinite comfort, breathability and freedom of movement. 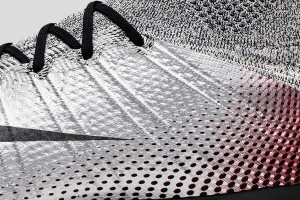 The second bonded TPU layer balances efficient support with optimum agility, finished off with Organitouch, a super-thin outer film to enhance sensitivity and touch, aiding close ball control while running at high speeds. Implanted in the heel, a hidden internal Membrane Heel Shield provides unseen support and protection against unforgiving challenges. A durable sole plate is constructed from a tough compound material, allowing it to withstand adverse weather conditions and varying playing surfaces. The configuration of the Clawtech blades offers optimum traction to dominate on dry and firm surfaces. The tongue is constructed with a Bonded Tri-Fusion system and an Aerosock inner which combined with the slipstream lacing system, provides the fit and comfort a player would expect. Engineered to embody the mindset of a player, the streamlined aesthetics of the Superheat boot signals the aerodynamic qualities that it possesses. 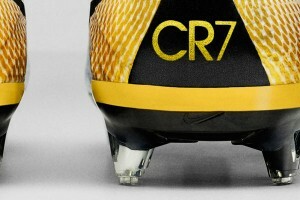 The boots will be available to buy from the 1st August.